Professor Eric Silverman will discuss how something as mundane as clothing can help illustrate the complex social worlds in which Jews have always lived. 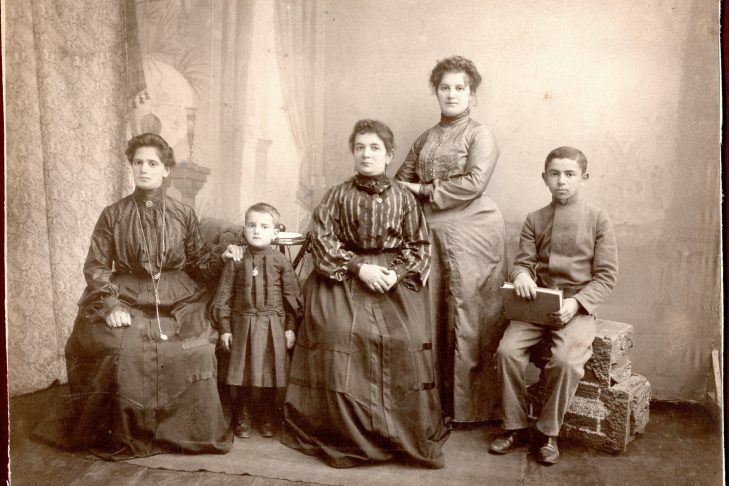 For most of Jewish history, but especially beginning when the ancestors of most American Jews migrated to the United States, clothing shows a tension between dressing Jewish and dressing like everybody else. Silverman is a cultural anthropologist who teaches in the American Studies and Human Development departments at Wheelock College. He is a prolific scholarly and popular writer. He has published four books, including two about Jewish history: From Abraham to America: A History of Jewish Circumcision and A Cultural History of Jewish Dress. Prof. Silverman is currently working on a project about American Jewish fathers. He is also a scholar with the Brandeis Women’s Studies Research Center. The Jewish Genealogical Society of Greater Boston is dedicated to helping people discover and research their Jewish family history. JGSGB welcomes beginners and has expert members with a broad range of skills in various research techniques who are happy to help others. For information on upcoming programs and events, special interest groups, expert help, resources and membership go to jgsgb.org. Registration is now open for the eight week course Jewish Genealogy: Discover Your Family History.